One of the best ways of introducing children to the wild life is taking them to a zoo. Children love to interact, see, if possible touch and watch the animals in the zoo. Another advantage of taking the children to the zoo is making them aware about the diversity of fauna on planet earth. 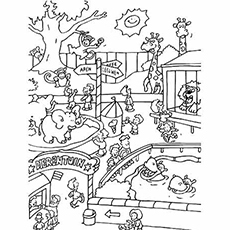 This picture highlights a number of zoo animal cards. Once colored, the cards can be cut out as used as collectibles by your kid. Zoos have been in existence since as early as 3500 BC. Toucan is a big bird and a rare one too. 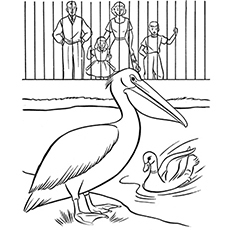 Making your child color this coloring page will introduce him to this new bird. 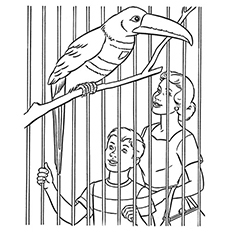 The picture also shows mother and her son watching the bird in the cage. 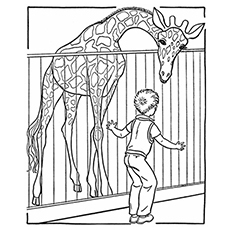 This will make him recall his visits to the zoo with his parents and will inspire him to color. 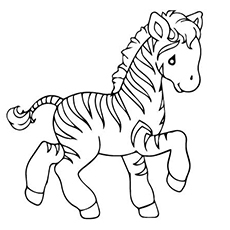 Zebra is a striped animal and is one of the best zoo animals for coloring if you want your child develop his coloring art. The different lines on his body requires very careful and watchful coloring that helps to increase his concentration. Wow! 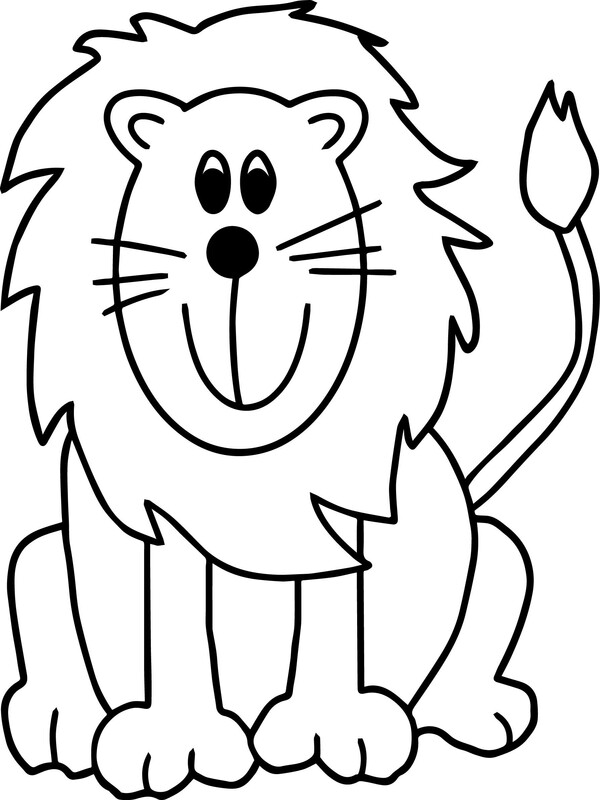 This is one of the zoo coloring pictures featuring Lion king roaring in his full glory is indeed a rare sight. Kids find such pictures exciting and love to color them. The picture also has a girl watching the roaring Lion to which the toddlers can easily relate to. 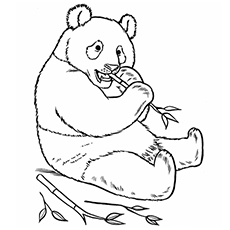 Bear looks cuddly and children love to color them, especially the panda bear types. This picture of panda bear is eating a bark. 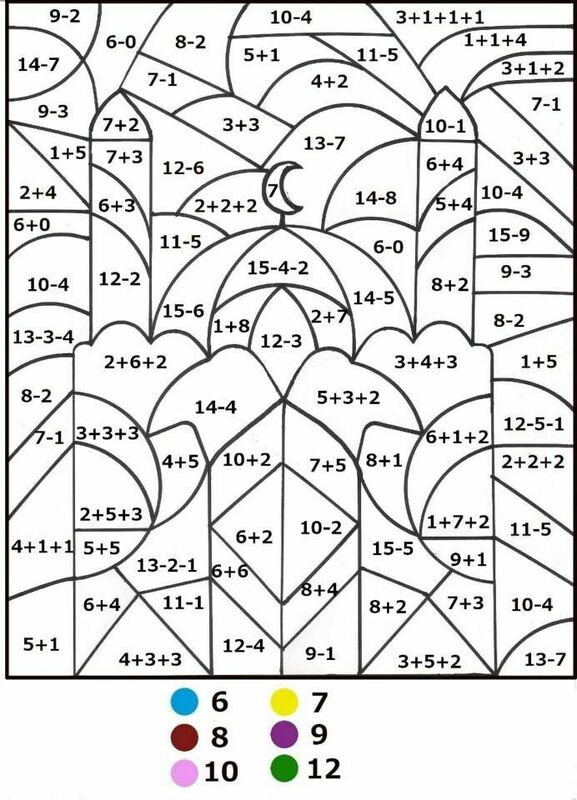 It is just ideal for nursery kids who are new to coloring as it is quite simple without much of sketching and line work. This is a giant panda with a large body area so there are less chances of the child messing it up. This picture showcases a group of animals performing tricks. Help your kid choose colors for the picture as there are many characters. Some zoos even have their animals put on shows every week to entertain audiences who visit. 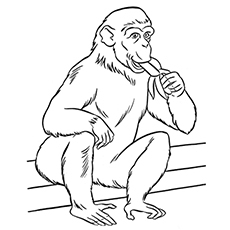 The picture has a big monkey in a sitting position-eating a banana. You can tell your child about how monkeys loves fruits and hence is shown eating one. 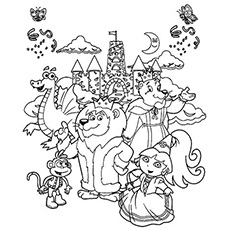 Usually kids love monkeys and know them well as they can also be seen in regular gardens – hence they will take more interest in coloring this page. Zoos mostly have ducks and pelicans caged together. Here in this page you can see the young children enjoying the sight with their parents. Your children will love to picture this page, as they will relate to the picture with themselves. Children love bears and this wild animal too is playful when in good mood. 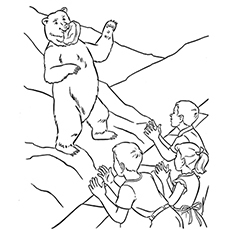 In this coloring page, the bear is in a good mood and catching the foods being thrown at him by the kids at the zoo. 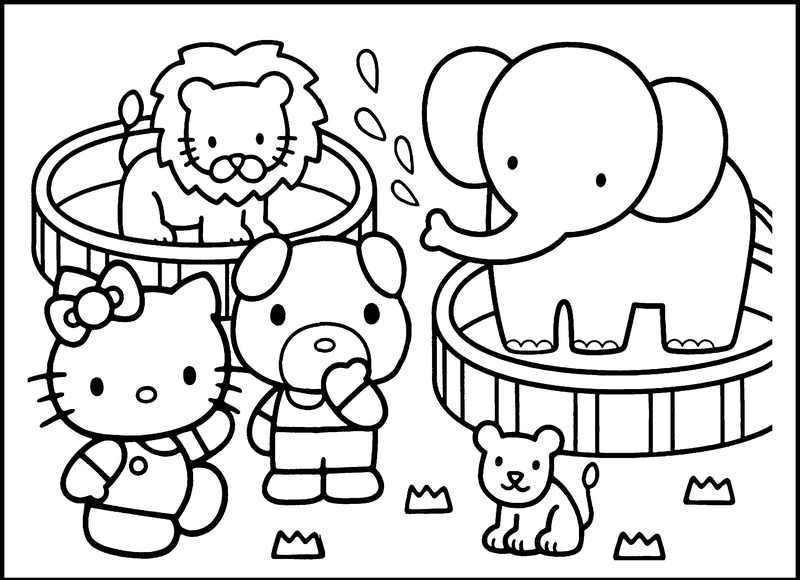 You can tell different activities a bear can do when you ask your toddler to color this picture. Has your kid ever seen such a lovely bunch of animals in such a great mood? Now he will. This picture shows butterflies, happy elephant and hippopotamus, while the tiger is seen sleeping. 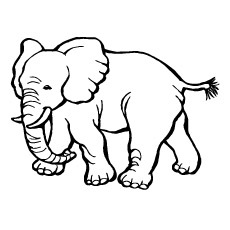 Show your kid references of colored images of animals to help them color easier. There are over 2800 zoos and aquariums in the world. 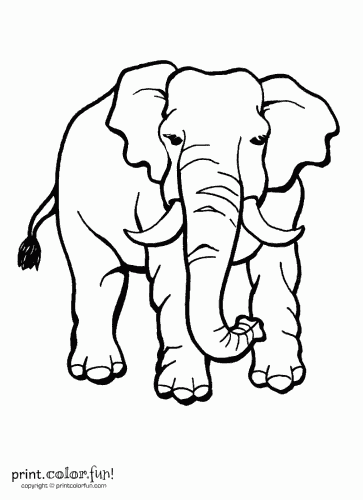 Each child has his/her favorite animal, a panda, a tiger cub or even a small cuddly bear. 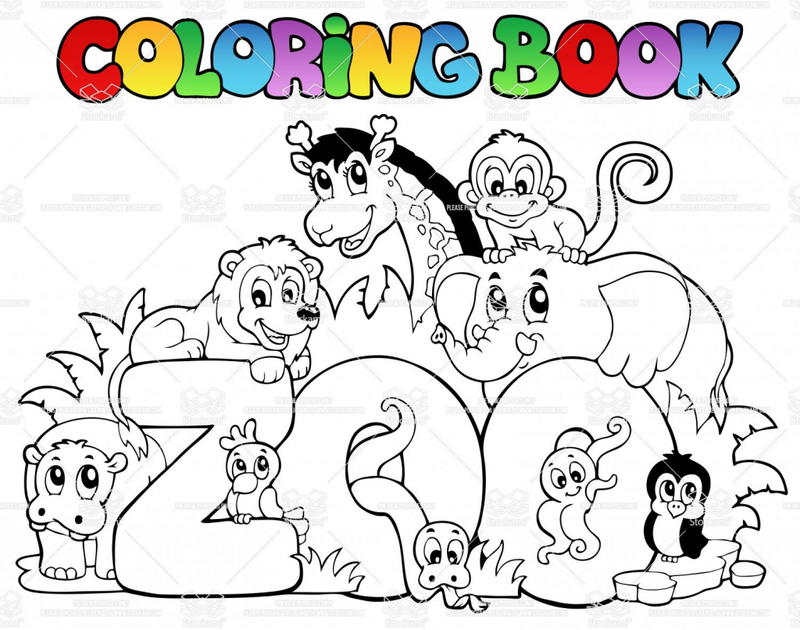 So, if you really want them to learn coloring and pick it up as a regular habit, it is better to give them zoo pictures to color that they like so that they will color them with more interest. 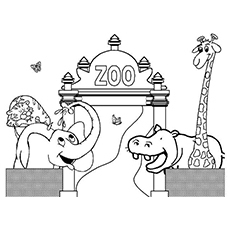 This picture showcases the alphabet ‘Z’ associated with Zoo. Your kid will learn about a letter of the alphabet – ‘Z’. He will also learn to differentiate between big and small Z. He also has the opportunity to practice the alphabets in the given space below the picture. Certain zoos around the world have put a ban on people wearing animal prints when they enter because certain animals would run away, thinking it as their predator. This image is fun as it shows Princess Dora at the zoo. Princess Dora loves animals and is seen here with them in the zoo. The cute image will leave a lasting impression on your toddler. Do share your experiences with us in the comment section below. 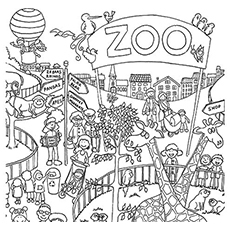 The picture highlights a few children and their parents entering the zoo with smiling animals around. This picture is apt for children who have just learned the basics of coloring. It is said that animals found in zoos have a generally longer lifespan than those found in their natural habitat. 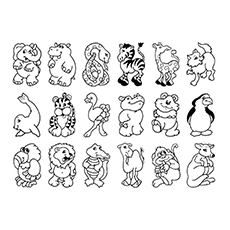 The next image, once again, showcases various zoo animals. 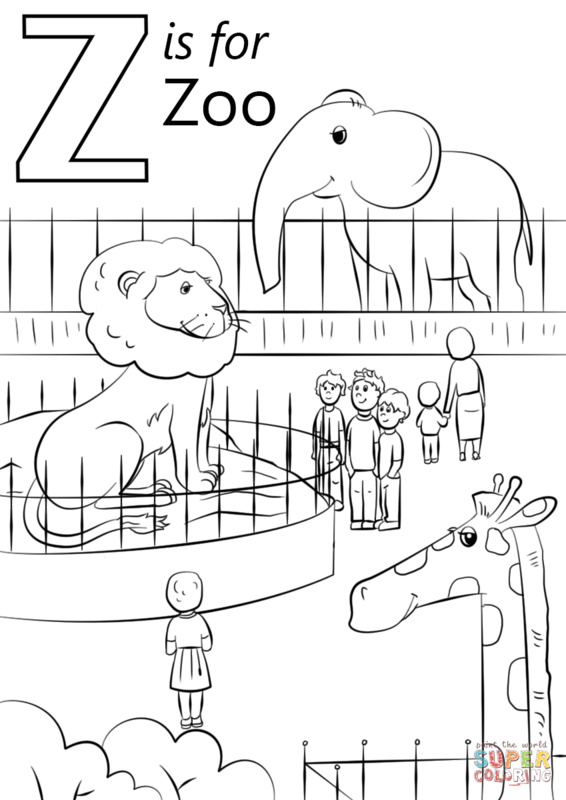 This picture is apt for children who are just learning about zoo animals. You could tell your toddler that the world’s oldest zoo was found in Egypt. This picture highlights a bunch of animals relaxing at the zoo. This picture is apt for children above 7 years because it is little complex. 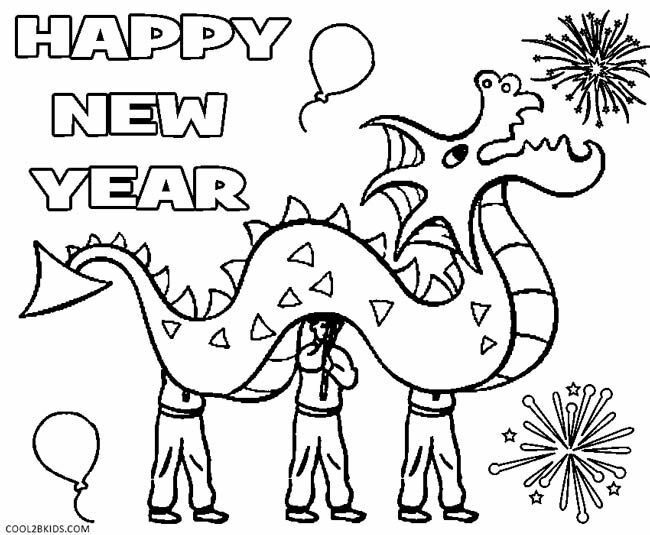 Share some info with your kid while coloring this picture. Tell him about the oldest zoo in the world, which is located in Schonbrunn. It was founded in 1752. This picture showcases a zoo trainer with a bunch of animals in their natural habitat. You can show your kid a video of a trainer with the animals. Germany has around 400 zoos – more than any other country in the world. 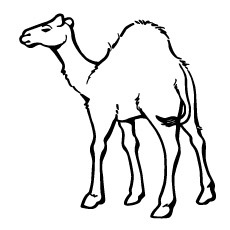 Many zoos have camels and also allow camel rides. 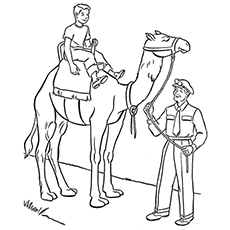 This picture shows a boy riding the camel with his caretaker holding the ropes. Giraffe is one of the tallest animals with interesting patches on his whole body and long neck. The diversity on his body and features gives your little ones ample scope to learn coloring small and the big areas without letting the color go out. Just as children are frightened of big animals, they are attracted to their small cubs and puppies. 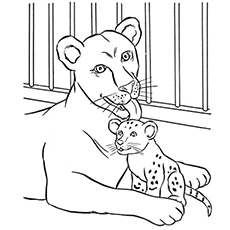 This coloring page shows a proud lioness with a small cub playing with her. 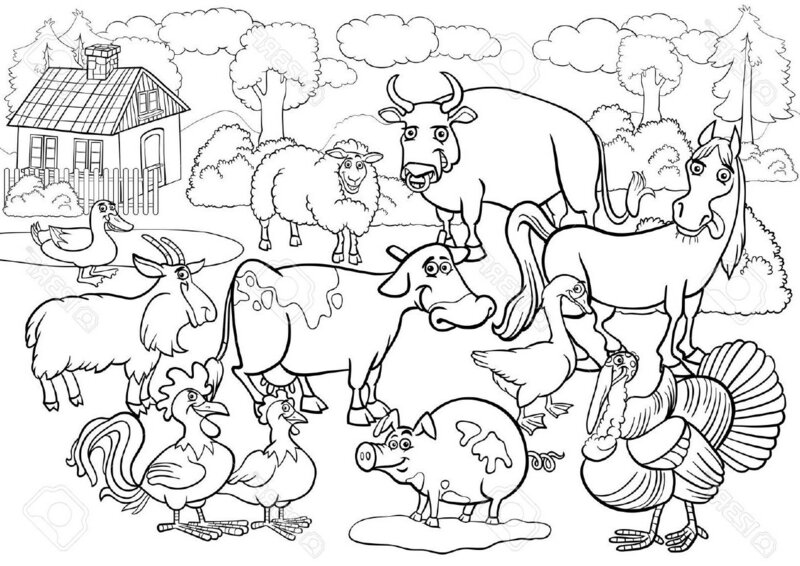 What better way to introduce the relationship of animals with their young ones than making the kids color this picture. Animals have always been a subject of much curiosity and fascination for young kids. It is for this reason that a zoo has always had a special appeal for them. As an institution housing numerous types of land animals, birds, marine creatures, reptiles and amphibians, a zoo has enough number of attractions to keep one occupied for an entire day’s tour. 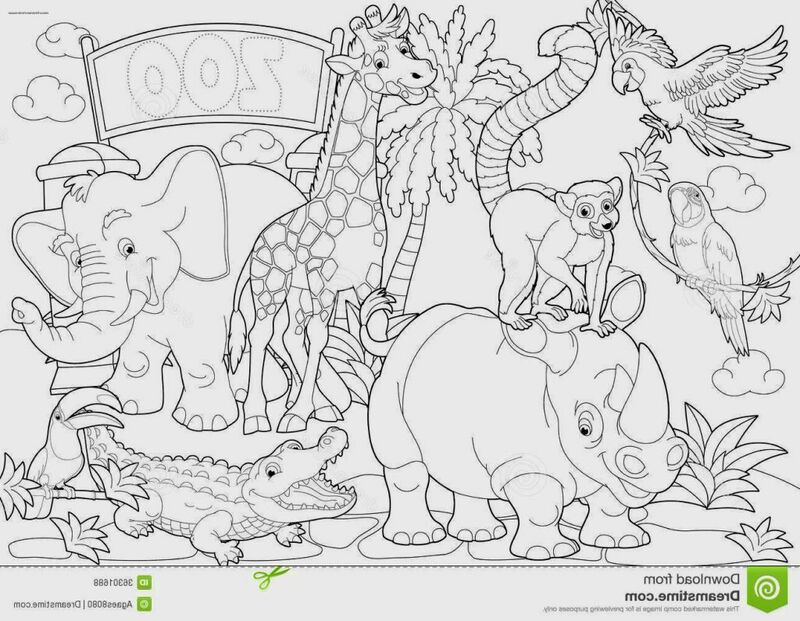 Zoo coloring pages are also quite popular with young children as they promise the sense of fun and adventure associated with the various wild animals. 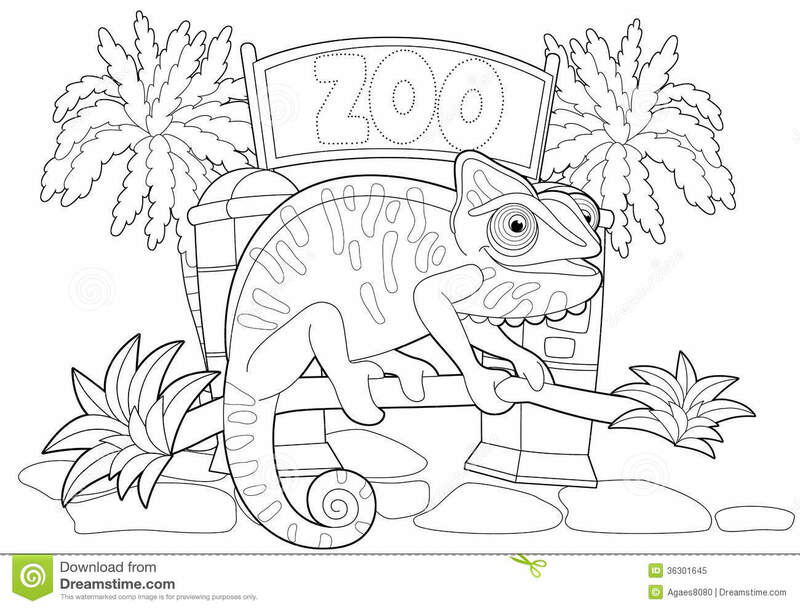 In this site, you will find a nice collection of zoo coloring pages that depict various animals in realistic as well as cartoonish appearances. 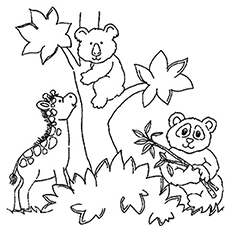 As there is a wide variety of creatures that make up the animal kingdom, it gives young children a lot of options to experiment with various coloring shades. The animals may be shown in isolation, or in company with other fellow members. 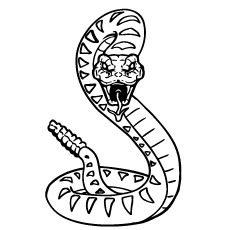 The surrounding environment can also be observed in the coloring pages. All these give the pages a very naturalistic feel. 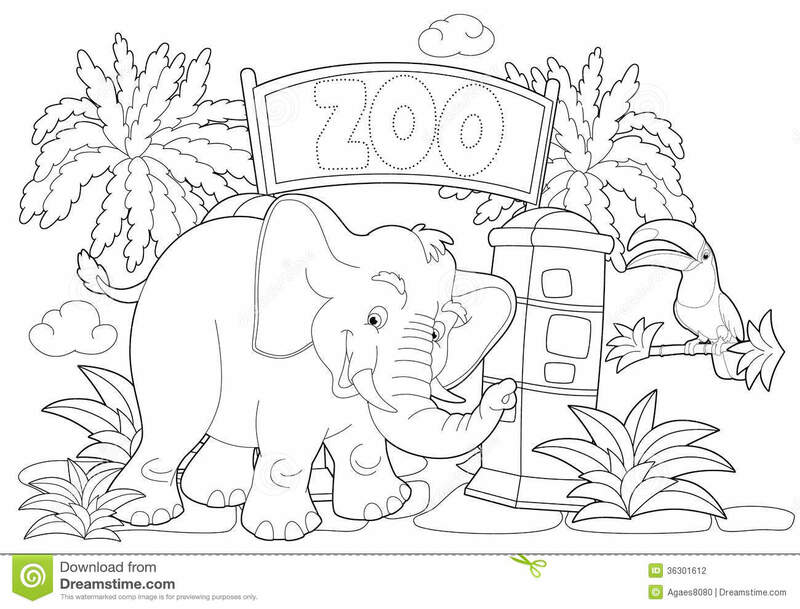 The zoo coloring pages can be printed out easily for your kids’ personal use.